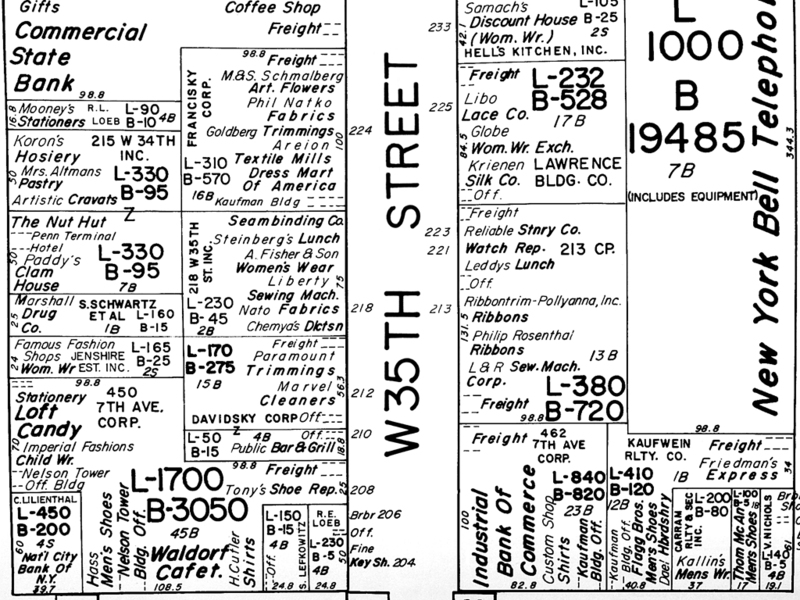 Nathan Nirenstein, Nathan Nirenstein's Real Estate Atlas New York City and Its Environs Decentralized Shopping Centers, 1955. 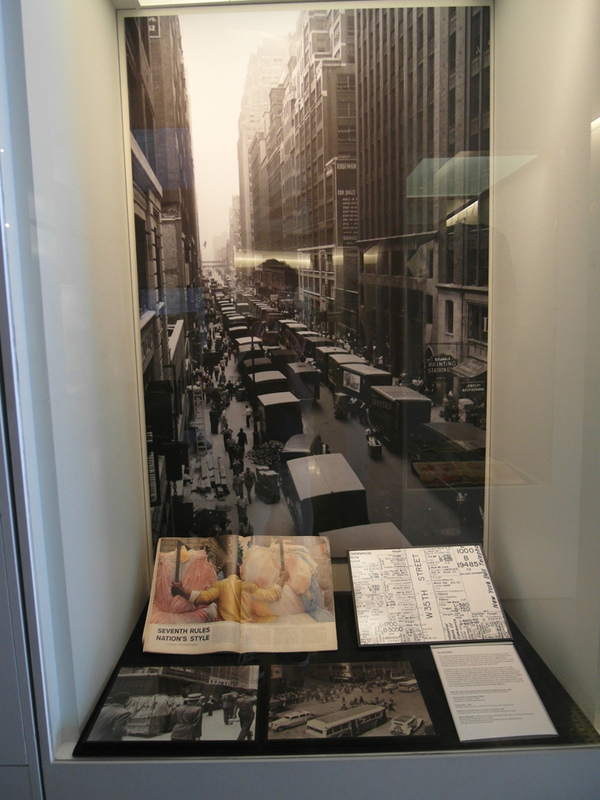 West 35th Street between Seventh and Eighth Avenues (detail facsimile), Collection of The Skyscraper Museum. 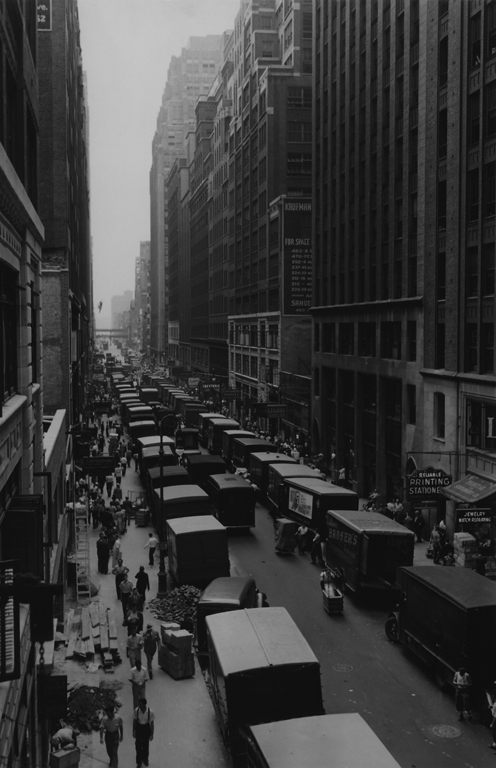 The streets and sidewalks of the Garment District were vital arteries for both the delivery of goods and for socializing. 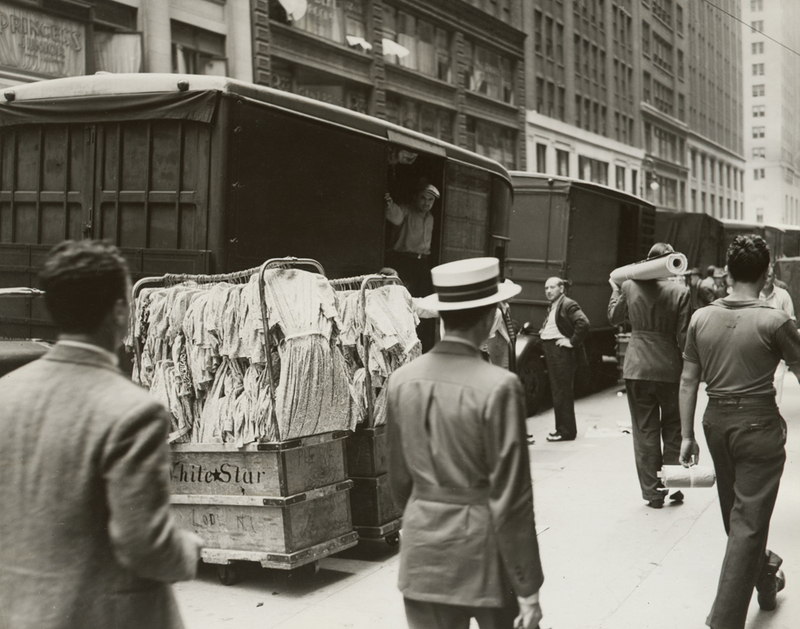 Raw materials and finished garments were constantly moving through the district. Streets were congested with trucks. Small loads, going only short distances, were carried by one of the most distinctive features of district - the carts and racks that careened through the streets under the direction of workers known as "push boys." Street Scene, 1938. Courtesy of New York City Department of Records, Municipal Archives. 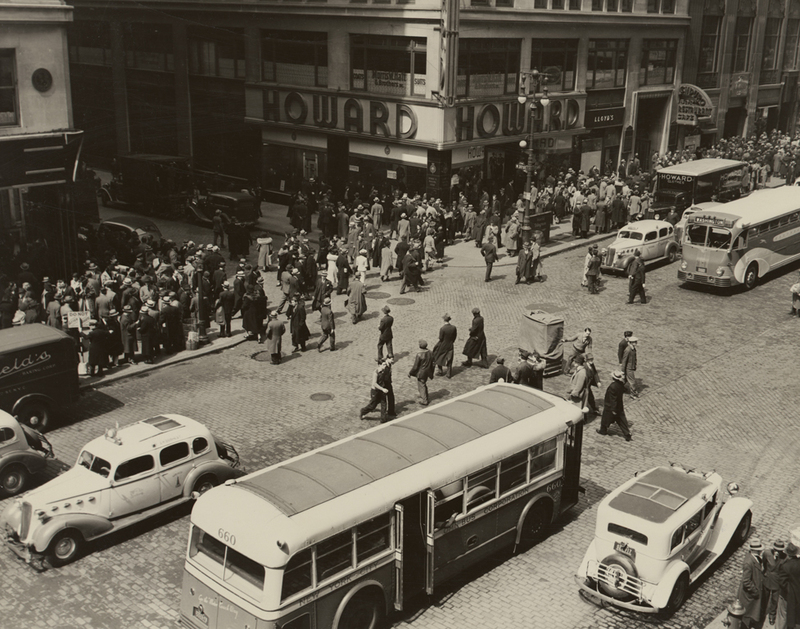 Noontime at Seventh Avenue and and 37th Street, 1938. Courtesy of New York City Department of Records, Municipal Archives. Congestion was a major issue, especially at noon when thousands of male workers poured onto the street for a quick bite at a lunch stand or cafeteria, then congregated on the sidewalks and in the streets for a cigarette and a long "schmooze"--gossiping about labor-management relations, the latest fashions, and the baseball scores. A union publication described how these men "niagara out to the streets, jam the sidewalks and flow over the curbs nonchalantly blocking traffic." The crowds were almost entirely men, although women made up a large percentage of the workforce. Women, however, tended to bring their lunch and stayed indoors eating and schmoozing together. West 35th Street looking east between Seventh and Eighth Avenues, 1938. Courtesy of New York City Department of Records, Municipal Archives.